We were a bit surprised to see Jesse Malin releasing a new album so soon after his last one, “New York Before the World” (NYBTW). If we’re honest, especially after learning how he’d recorded a load of slower songs in the country side and then felt the need to go back to the city and record more for NYBTW (see our interview here https://thesoulofaclown.com/2015/06/13/jesse-malin-interview/ ), that this would be just a group of slow songs or Demos/Outtakes. As long-time fans we really never should have doubted Mr Malin! Any doubts are immediately blown away with the brilliant opening song, “Outsiders”, which continues both the passion and feel that was offered up by so many songs on NYBTW. Things get even better with “White Stone City Limits” which opens up like The New York Dolls before being another rock n roller like the Stones, when they used to be at their best. It certainly appears that Jesse is reaching a creative peak (which is saying something given the outstanding quality of his output to date!). A key to this seems to be his willingness to show his influences and different inspirations. “San Francisco” is a wonderful song with a melodic flow and laid back coolness, until it ends in a crescendo of loops and feedback. Whilst “Edward Hopper” sees him adopting an almost disco beat, or at least a funky one. It immediately transports you to a dirty NYC club. Likewise, “Society Sally” has the best NYC strut since Travolta in Saturday Night Fever! Importantly, however, we are not talking about some kind of wholesale change in style. Although, there are signs of his earlier punk rock roots. This is shown on the ‘Iggy’ pop punk of “The Hustlers” and “Here’s The Situation”, which is D Generation esque. However, the diversity of his style is reinforced with “All Bets Are Off” which is one of his finest slower tunes since his classic debut album. Overall, there is a sense that he is just really enjoying music again. A feeling that is demonstrated by the brilliant upbeat, mid paced rocker “In The Summer” and the almost ‘jaunty’, New Orleans, Mardi Gras carnival sounding “You Know It’s Dark When Atheists Start To Pray”. 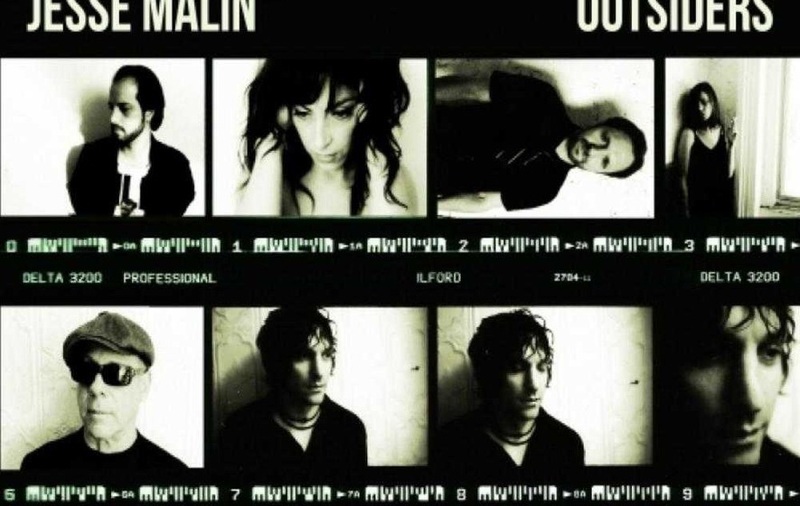 Even as huge Jesse Malin fans, we have been surprised by both his releases this year. He has always been a quality artist but this album is another contender for being one of his best releases. Somehow, he seems to have thrown off all his shackles and you sense he is once again producing the music that he really wants to. The songs have a vibrancy and sense of life that just makes them infectious. Some reviewers allocate stars or marks out of ten to rank albums, but this is something we have tended to avoid at http://www.thesoulofaclown.com. However, we do have an accolade which is reserved for only the best albums we review… we buy it on vinyl! Like we did with his last album, once we finish this review we will be pre ordering “Outsiders” on vinyl as soon as possible, we suggest you do the same.